Staff member plows the snow off sidewalk while heavy snowfall continues. Students and staff woke up this morning to piles of snow and ice covering the roads and every sidewalk, with no announcements from Jeffco Public Schools. 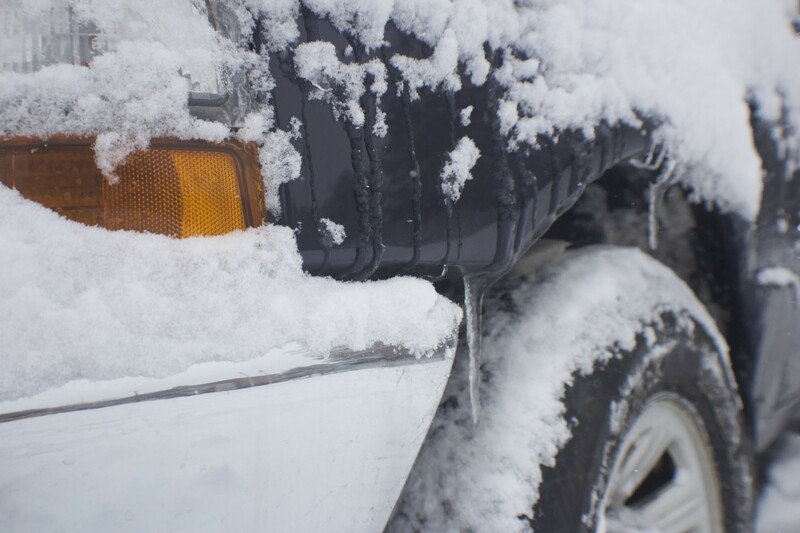 It has become a theme for the district to fail its faculty and students when it comes to snow days, a similar situation having occurred almost a year ago. While Jeffco’s policy states “We live in an area where snow is typical in the winter and unless the storm is extreme, school will not be canceled. Additionally, Jeffco does not use delayed start,” However, because of the weather and traffic issues, Gina Rivas had to cancel first period. The four inch layer of snow and the consistent storm meant faculty’s inability to be on time isn’t due to laziness or poor planning. Teachers are prepared for a slower commute and leave early, but that doesn’t mean that heavy traffic will stop and the ice will melt. There were some teachers that were able to leave before the heavy traffic hit their roads but the weather was same. If “the safety of students and staff is the number one consideration” for Jeffco when considering the closing of schools, then teachers and students should not feel endangered as they’re driving to school. The district’s students and staff were not being considered when there were no school closures. They did not consider the possibilities of delayed starts which could alleviate some of the heavy traffic and create less stressed driving. “I think this ‘all or nothing’ mentality when it comes to snow days, and usually it’s nothing, I think is the wrong policy to have for our district,” Lopez said. But for situations like today teachers believe that there should have been a full closure of Jeffco schools, even with all the help from a formal delayed start, the weather was simply too bad for it to be safe. 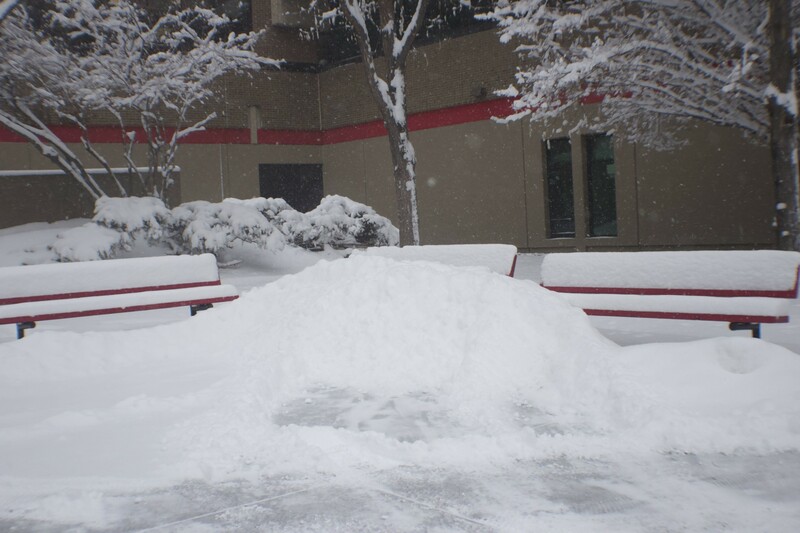 Piled snow in the courtyard. Car covered in snow in the empty parking lot. 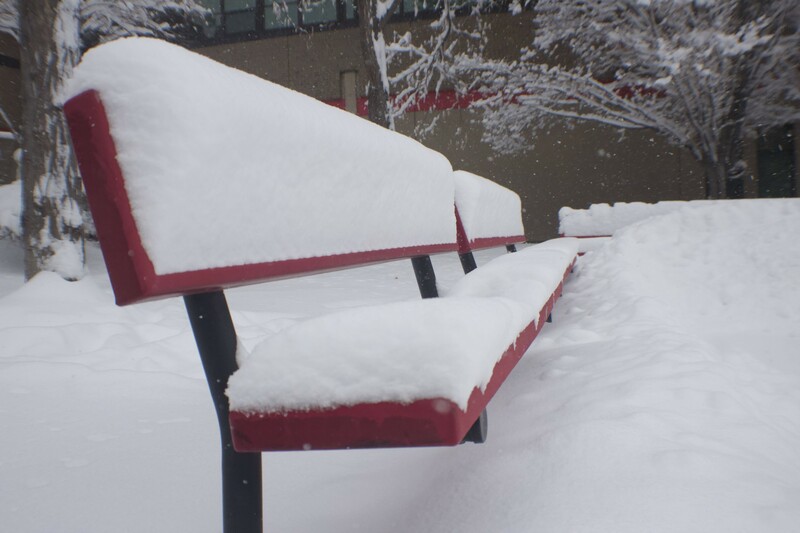 Benches in the courtyard covered in snow.